It's been quite hard to focus on this project the last 2 months due to personal reasons and some traveling. Basically I've only managed to finish and fine-tune some overworld screens, and I'm quite close to finishing Level 5 & 6. The problem with progressing from here is that I'm having issues making a decision about what to do after completing Level 5 & 6. It's basically the planning phase that's slowing me down at the moment, cause I don't want to progress without any further ideas. 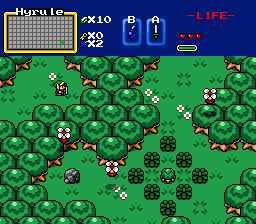 It'll just end up bad or repetitive as a zelda 1 quest without scripts is repetitive enough already. I might wait a little longer until the next update unless I make some serious progress.